The TCCVEV Color Guard has presented the colors at the last 3+ Gold Star Mothers conventions in various locations in New York and the TCCVEV Color Guard/ Firing Detail also works with the NYS Dept Labor Veterans Program a few times a year to help them honor veterans and Gold Star Mothers. Especially of note is the Memorial Day Service at the NY State Campus in Albany NY. Money raised is used to assist veterans throughout the year in need of financial assistance. Several examples include paying a month’s rent, paying to prevent power shut off, paying for veterans to fly to another state to receive special medical attention and purchasing special tools so a veteran could return to work. Through TCCVEV’s Community Services Program, monetary assistance is provided to veterans for other needs, including paying for needed medical equipment, security deposits so a veteran could move into a home, even paying for mechanical repairs on a vehicle so the veteran could make it to work each day. The assistance provided is overseen by the Community Services Committee and the members work with the Treasurer so there are funds available when needed. 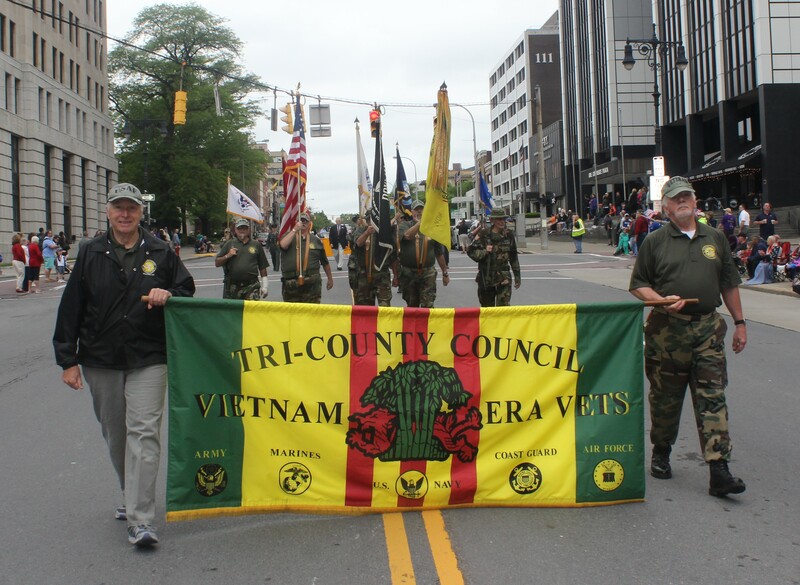 Tri-County Council of Vietnam Era Veterans (TCCVEV) also provides volunteer work assisting the Military Courtesy Room at the Albany International Airport. Tri County Council of Vietnam Era Veterans Partners with The National Association of Drug Court Professionals to provide Mentors to veterans in a peer to peer focus to the Drug Courts of Albany and Rennsselear Counties.We work to enable veterans currently connected to these County Courts to be successful in their drug and alcohol rehabilitation. Our direction is to provide these valuable services to the remaining counties of the Third Judicial District of the state of New York. Organization Members provide valuable medical transportation to the VA Hospital in Albany NY for veterans in need.